Important News for the Upcoming Vapor Emissions Regulatory Season. We are announcing new "a la carte" service for calibrations. If your instrument is a standard RVP only analyzer or if you only use the RVP function at your location, please select a standard calibration service. It you use alternate test methods, such as crude oil testing or vapor liquid ratio, please select the add-ons when scheduling your calibration and maintenance. Changing of all o-rings, cleaning of filter screens in addition to the cell leak test. The instrument is also calibrated for temperature and pressure. If any new software updates are required, they will be uploaded to the tester. Also verify linearization of Pressure Transducer over the entire temperature range and update if necessary. Includes complete disassembly of tester for proper cleaning of oil, dirt and grime, and other contaminants that are a major cause of instrument malfunctions. Calibration for temperature and pressure. Includes complete disassembly of tester for proper cleaning of oil, dirt and grime, and other contaminants that are a major cause of instrument malfunctions. Any new software updates will also be applied and new oil added. This service can be requested between your yearly full service calibrations. We will service your Eravap Vapor Pressure Tester and return it to you in 4 days or less depending on our work load for that week. 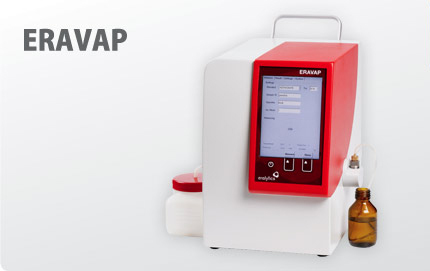 Upon arrival at our facility, your Eravap Instrument will be cleaned, calibrated and minor repairs or software performed. If there are any major repairs needed in addition to the calibration service, we will call you immediately before any repair work is started. Call or go on-line to our website and request a return authorization number (RA#) and ask for the Goldstar priority service. PSSC will make every effort to repair your Eravap Instrument in a timely and professional manner. To save you money, we will try to repair most problems rather than just replacing parts.